Police brutality lawsuits against a Chicago district commander who allegedly put his pistol into a suspect’s mouth have cost taxpayers more than a quarter million dollars, a WBEZ review of court records and city settlements has found. That amount appears certain to increase as the city faces three more lawsuits, including one filed this week, that allege excessive force by the commander, Glenn Evans, 52. The plaintiffs’ cases could benefit from a criminal prosecution of Evans, who was charged last month with aggravated battery and official misconduct. To date, the city has paid out five-figure settlements in at least six lawsuits claiming Evans brutality, according to the records. The first two, totaling $25,000, came in 2002 and 2004. Those settlements did not appear to tarnish Evans’ reputation among cops. Philip J. Cline, a police superintendent in Mayor Richard M. Daley’s administration, promoted Evans to lieutenant in 2006 and assigned him to Gresham, a South Side district. Within four years, the city had settled three more excessive-force lawsuits against Evans, lifting the payout total to $153,999. In 2012, Supt. Garry McCarthy promoted Evans to be one of the city’s 22 district commanders and assigned him to Grand Crossing, another South Side district. Shootings dropped in Grand Crossing last year. McCarthy credited Evans. Some residents also praised the commander’s work ethic and attentiveness. This March, McCarthy transferred Evans to Harrison, the police district with the most homicides. “I got fires on the West Side,” McCarthy said at a Police Board meeting that month, referring to the violence. By this point, the city had settled a sixth suit alleging Evans&apos; brutality, raising the payout total to $224,999. In addition to the settlements, the city had incurred other expenses in these cases. Chicago Law Department records show outlays of at least $57,468 for experts, court reporting, medical-record copies and outside counsel. Adding in those expenses, the price tag for lawsuits accusing Evans of excessive force is $282,467. The settlements, considered individually, do not show culpability. All specify that their aim is to avoid the expense of further litigation. All specify that the defendants deny wrongdoing and liability. But some civil-rights attorneys see a pattern and put much of the blame on superintendents who have promoted Evans. “McCarthy needs to be held accountable for the way he trains and disciplines his officers, particularly people he puts in positions of high authority,” said Patrick Morrissey, a lawyer who filed one of the three unresolved brutality suits against Evans. Neither McCarthy nor Mayor Rahm Emanuel answered WBEZ questions this week about Evans’ promotion to commander. 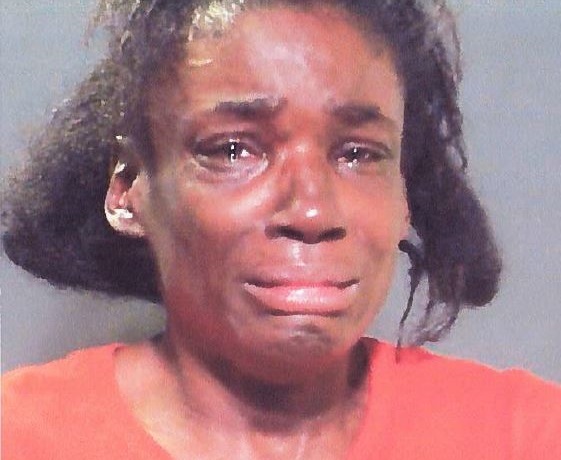 Morrissey’s client, Rita King, was arrested after a 2011 domestic conflict. Officers brought her to the Gresham station, where Evans was still based. In her first public comments about the incident, King this week told WBEZ she refused to be fingerprinted because officers had not informed her what charges she faced. Two days after the incident, a physician at Roseland Community Hospital examined King and found multiple facial bone fractures, according to a hospital record. Evans and the other defendants deny those allegations, according to a court filing by the city. The third pending lawsuit against Evans was brought Tuesday by Rickey Williams, a South Side man whose accusations led to the criminal charges against the commander. Evans allegedly put the barrel of his police pistol into Williams’ mouth last year, pressed a Taser into his crotch and threatened to kill him. Williams’ suit cites a lab test that showed his DNA on Evans’ gun. WBEZ revealed that test and an April recommendation by the city’s Independent Police Review Authority that the commander be relieved of police powers. McCarthy, backed by Mayor Emanuel, did not follow that recommendation. McCarthy and Emanuel lauded Evans’ efforts against crime. The commander remained in his post until August 27, when Cook County prosecutors filed the charges, both felonies. “The alleged actions, if true, are unacceptable to the residents we serve and to the men and women of this department,” McCarthy’s statement added. Evans’ attorney, Laura Morask, called the criminal investigation “incredibly flawed” and called the commander’s actions lawful. She has not returned WBEZ messages seeking comment about the pending civil claims against Evans, who could not be reached for comment. Most brutality complaints against Evans have not ended up in court. City agencies have fielded dozens of them since he joined the police department in 1986. A report by former chief Chicago epidemiologist Dr. Steven Whitman says 45 brutality complaints were lodged against Evans during January 1988–May 2000 and May 2002–December 2008. Authorities responsible for investigating those complaints found that two warranted disciplinary action, according to the Whitman report, prepared for a lawsuit against a different officer. In requests under the Illinois Freedom of Information Act, WBEZ asked for complaint summaries from Evans’ entire 28 years with the department. Mayor Emanuel’s administration has not provided those records. At a news conference last week, WBEZ asked Emanuel how he planned to hold McCarthy accountable for advancing Evans’ career despite all the excessive-force lawsuits and complaints over the years. Emanuel responded that the public should “hold all of us accountable.” The mayor then changed the subject to the criminal probe of Evans. Evans, assigned to desk duty since the criminal charges were filed, earns an annual salary of $154,932.